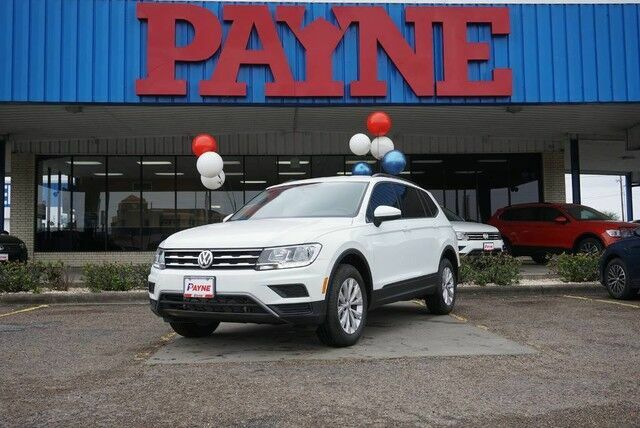 Contact Payne Brownsville Volkswagen today for information on dozens of vehicles like this 2019 Volkswagen Tiguan S.
Want more room? Want more style? This Volkswagen Tiguan is the vehicle for you. Enjoy the comfort and safety of this AWD Volkswagen Tiguan S equipped with many standard features found on other vehicles as optional equipment. This is about the time when you're saying it is too good to be true, and let us be the one's to tell you, it is absolutely true. Beautiful color combination with Pure White exterior over Titan Black interior making this the one to own!